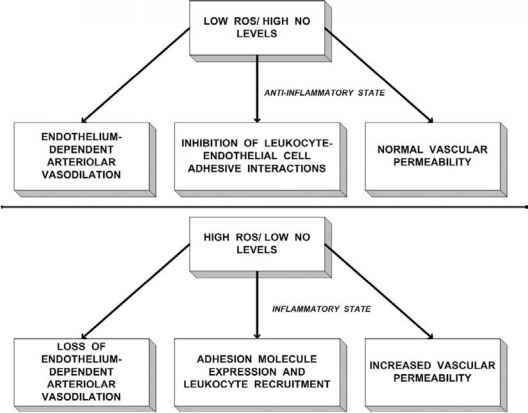 Figure 2 (Upper panel) Under normal conditions, low oxidant levels and high NO levels create an anti-inflammatory state within the microcirculation, as evidenced by (1) arteriolar vasodilation in response to endothelium-dependent agents, (2) inhibition of adhesive interactions of leukocytes within postcapillary venules, and (3) normal vascular permeability in capillaries and postcapillary venules. (Lower panel) When the balance between ROS and NO is shifted toward the former, the resulting oxidative stress promotes microvascular inflammation, as evidenced by (1) a loss of endothelium-dependent arteriolar vasodilation that reduces organ blood flow, (2) expression of adhesion molecules that promotes leukocyte recruitment into tissues, and (3) increased vascular permeability due to a loss of vascular integrity within capillaries and postcapillary venules. lar smooth muscle cells, as well as other cell types. In addition, hypoxia reduces the levels of several antioxidants in cultured endothelial cells as well as in the liver in vivo, effects attributed to oxidative stress. In vivo studies have shown that ROS generation within mesenteric venules increases rapidly during systemic hypoxia when tissue O2 levels are reduced, as well as decreased oxidant production upon a return to normoxia when tissue O2 levels are restored to normal. The pattern of ROS generation in hypoxia is clearly distinct from that observed in I/R. With regard to I/R, microvascular ROS levels increase upon reperfusion when tissue O2 levels are elevated, whereas little oxidant generation occurs during the ischemic period. Recent studies have shown that hypoxia decreases NO formation in endothelial cells in vitro and in an isolated lung preparation, suggesting a potential role for NO depletion in the microvascular inflammatory response to systemic hypoxia. NO depletion during hypoxia could result from increased inactivation of NO as a result of elevated superoxide generation, or, alternatively, from decreased O2 availability since O2 is a substrate for NO formation. A central role for ROS in hypoxia-induced microvascular inflammation is supported by the observation that antioxi-dants prevent both the hypoxia-induced increases in venular ROS levels and in leukocyte adherence to postcapillary venules. Antioxidants also attenuated the increases in leukocyte emigration as well as in vascular permeability during systemic hypoxia. 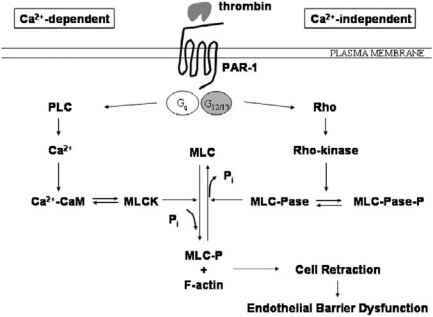 Interventions designed to increase tissue NO levels (NO donors or the NO precursor, L-arginine) markedly reduced leukocyte-endothelial cell adhesive interactions, leukocyte emigration, and the increase in vascular permeability during systemic hypoxia.